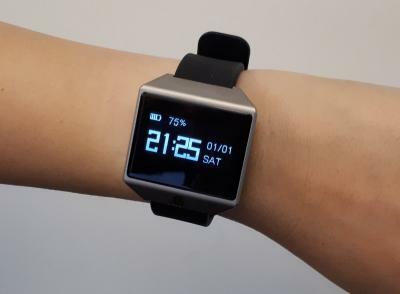 Wuxi Graphene Film's GF1 is a smart health watch that uses 1.3'' monochrome white PMOLED with a 128X64 resolution. The touch panel uses CVD-produced graphene as the conductive elements. The GF1 is now shipping in China and in the US for $55 (note: affiliate link to Amazon).